Terry strikes up the pipes! That young man was James Terence Dowling, known to all as Terry, a man who was to shape the future of the Fianna Phádraig Pipe Band throughout the sixties, seventies and eighties, and into the nineties. 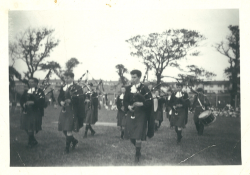 Terry had been playing the bagpipes from a very early age, joining the MacSwiney Pipe Band, under Pipe Major Denis Dermody's tuition, when he was no more than 10 or 11 years old. 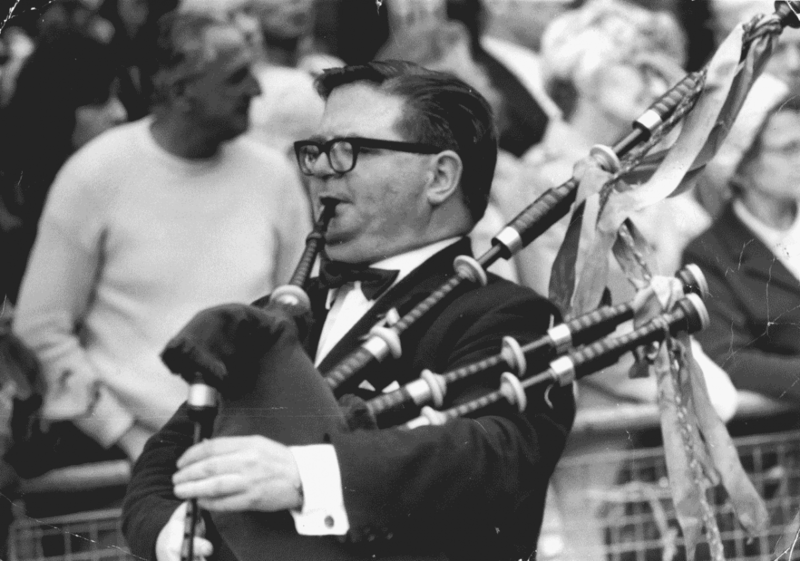 He played with the MacSwineys throughout his teenage years, turning out at many of the traditional events held within the community at that time: the Whit Walks in Manchester, of course, the annual Earlestown procession, where his path inevitably crossed that of the boys and girls from St. John's. 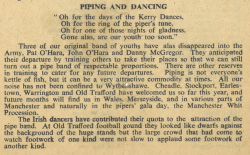 From the Fianna Phádraig collection.In the early fifties, National Service in the RAF took Terry away from Manchester for three years. 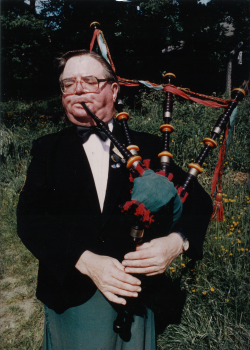 Away from his beloved MacSwineys, but not from the pipes. Based in Iraq with the RAF, he was often called upon to play in the officers' mess, a duty which also gave him the opportunity to earn a few extra coppers to add to the King's shilling. While Terry was away, his family moved from Ancoats to Benchill so, quite naturally, when his demob notice came through, he came straight home to Wythenshawe. St. John's Parish Magazine - March-April 1953. 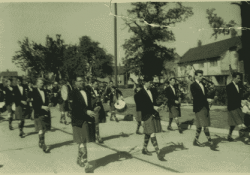 Finding his way around the area, he came upon St. Anthony's Pipe Band, which he'd known as St. John's Pipe Band from the various engagements they had done in common with the MacSwineys. By this time, Pat O'Hara, John O'Hara and Danny MacGregor were in the forces and the Band was struggling. 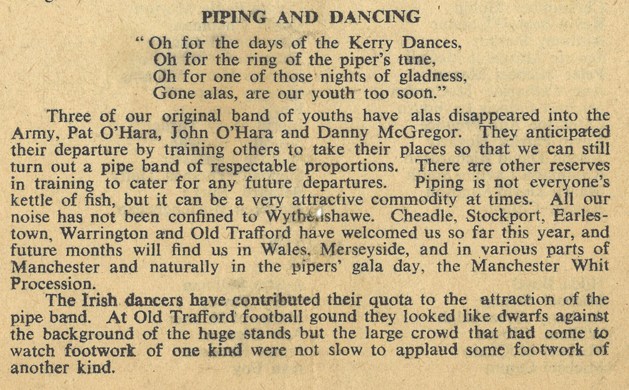 So Terry offered a helping hand teaching some of the younger pipers. From the Fianna Phádraig collection. 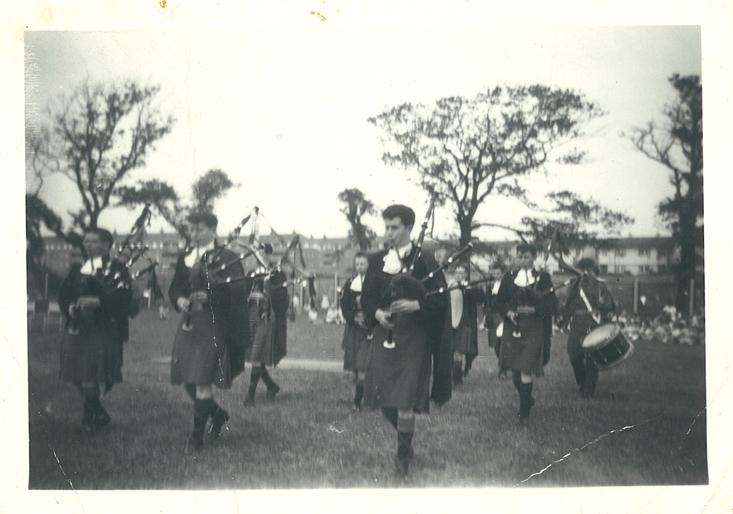 Since coming to Wythenshawe after national service, Terry had continued to travel into Manchester to practise with the MacSwineys, but the situation was not ideal and he was finally asked to choose between St. Anthony's and the MacSwineys.